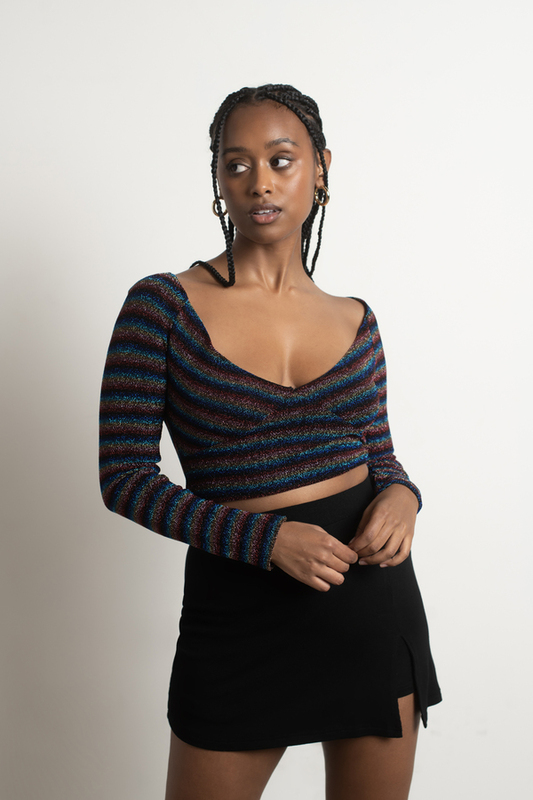 Check out Tobi's Starlite Rainbow Stripe Knit Cropped Top Fall never looked so good in the Starlite Rainbow Stripe Rainbow Knit Cropped Top. This rainbow striped shirt features tight long sleeves and a v-neckline on a knit fabric. This cropped knit top will look great with some joggers or high waisted pants. 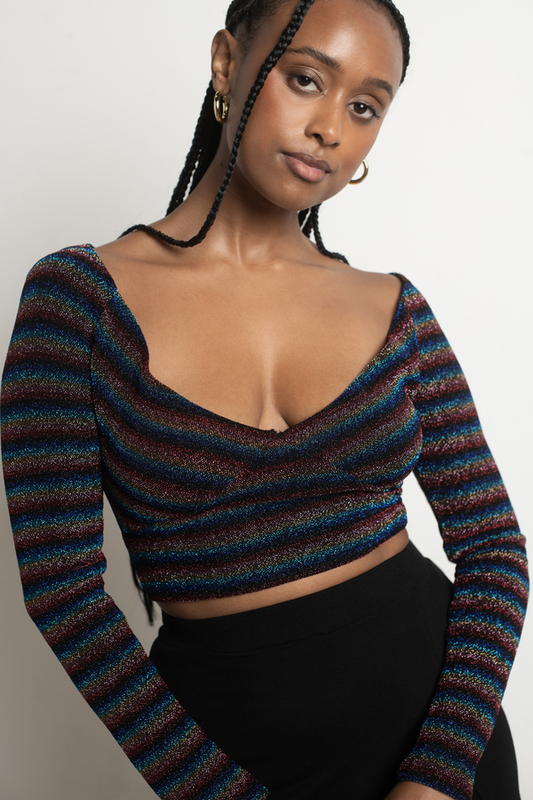 Fall never looked so good in the Starlite Rainbow Stripe Rainbow Knit Cropped Top. This rainbow striped shirt features tight long sleeves and a v-neckline on a knit fabric. This cropped knit top will look great with some joggers or high waisted pants. Rainbow modeled on a size Small.